Is Huntingdonshire part of Scotland? It is the question no-one seems to be discussing as the SNP prepares to make another bid to obtain Scottish independence: is Huntingdonshire really part of Scotland? 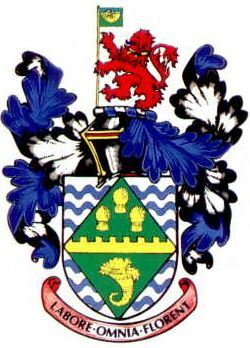 The ancient county of Huntingdonshire was merged with Cambridgeshire in a reorganisation of local government in 1974; parts of the old county south of the River Nene have also been absorbed by Peterborough Unitary Authority. However, the original earldom of Huntingdon was one of the seven great earldoms of Anglo-Saxon England, created by Edward the Elder for Bjorn Eastrithson who ruled over the Honour of Huntingdon for the king, which included most of Huntingdonshire, Northamptonshire and Bedfordshire. This was at a time before earldoms were merely titular and represented real territorial jurisdictions. At the time of the Norman Conquest the earldom was held by Waltheof, whose daughter Maud (or Matilda) inherited it when her father was executed for rebellion in 1076. In 1113 Maud married, as her second husband, David of Scotland, who thereafter held the earldom of Huntingdon in right of his wife. In 1124 David became King of Scots whilst still in possession of the title of Earl of Huntingdon. As we read in Halsbury’s Laws of England, ‘If the holder of a peerage succeeds to the Crown, the dignity merges in the Crown and can only be revived or re-created by a new grant’. Does this mean that the earldom of Huntingdon merged with the Scottish crown in 1113 and Huntingdonshire thereby became part of Scotland? Well, it’s not quite as simple as this. Halsbury is referring to English rather than Scots law, and England and Scotland were of course separate kingdoms in the twelfth century. Halsbury was not envisaging a situation in which the holder of an English peerage succeeds to a foreign throne. Indeed, the kings of England continued to maintain their right to grant the earldom of Huntingdon and did not regard it as having merged with the crown of Scotland. King Malcolm IV of Scots had to do homage to Henry II in order to receive the earldom of Huntingdon, because the earldom was a fief of (in feudal subjection to) the English crown. In an age before the formation of any coherent idea of the nation state, the notion that one king might do homage to another was not absurd; indeed, English kings (most notably Edward I) had a tendency to treat the crown of Scotland as a feudal possession of the English crown. When King William I of Scots succeeded to the earldom of Huntingdon he resigned it to his brother David so that he did not have to do homage to the English king. David’s son John of Scotland died without heirs in 1237 and the earldom merged back into the crown – but the English rather than the Scottish one. The Treaty of Union of 1707 merged the English and Scottish crowns and parliaments, but one of the things that remained separate was peerages. All peerages (apart from Irish ones) are classified as being of England or Scotland (titles created pre-1707) or of the United Kingdom (titles created after 1707). The Treaty and Act of Union therefore did not merge the peerages of England and Scotland, so the English and Scottish crowns were not altogether merged as fountains of honour. The only way in which one can claim that the Honour of Huntingdon remained somehow part of Scotland is to argue that a crowned head of a sovereign nation cannot do homage to another; on the death of John of Scotland the earldom legally merged in the Scottish crown, therefore, and Edward III’s grant of the earldom to Henry de Clinton in 1337 had no validity. According to this argument, the Honour of Huntingdon would be a little bit like the Principality of Liechtenstein, a territory owned by the Austrian Liechtenstein family which gradually became the sovereign nation state it is today. It would be a case of the sovereignty of the crown of Scotland transferring to the Honour of Huntingdon because the Honour was owned by a sovereign crown. If this is true, the dissolution of the Act of Union would leave the Honour of Huntingdon united not to the English, but to the Scottish crown and therefore part of the territory of any future independent Scotland. Quite apart from the fact that earldoms as territorial entities are obsolete, the problem with this argument is that it retroactively applies modern concepts of sovereignty to the Middle Ages, which never really works. Although contemporary political entities such as Scotland and England derive from medieval boundaries, the ways in which medieval people understood sovereignty were so different from our own (and from modern international law) that it is almost impossible to appeal to medieval precedent for contemporary boundaries. And even if a case could be made for the Scottish crown’s ownership of the earldom of Huntingdon, the situation would be rather similar to the Danish crown’s ownership of the Orkneys and Shetlands. Possession is nine tenths of the law, even in international law, and Scotland’s long-time possession of the northern isles (even if Denmark never formally ceded them) is taken to be equivalent to sovereignty. Huntingdonshire has simply been part of England for too long for Scotland to stake a credible claim – but the county’s connection with the Scottish crown is nevertheless a fascinating part of its history. The case would be greatly strengthened if one could find a primary source in which the Earldom was treated as being de jure a right of the Scottish king. ….ab eo [i.e. Henry II] vicissim comitatum Huntedunensem prisco sibi jure competentem recepit. So Malcolm “received” the Earldom from the English king; but it is clear that there was perceived to be an objective link between the Earldom and the Scottish crown which made it something more than a discretionary gift of the English crown. This entry was posted on March 13, 2017 by jacobite.